So I went through the awesome and the great. Earlier this week, I posted on my work blog the ugly. Check it out here. That part was rather crazy. If you want to know more about Argentina and black folk, google Domingo Sarmiento. It’s just so weird to see other people who have noticeable hues have such color issues. Not surprised, but wasn’t really all that prepared. I just wish American black people had a place they could really go and not stand out like a sore thumb. But AT LEAST, we didn’t have to go through what I went through in friggin Strasbourg, France. Now in the words of Kanye–THAT ish was cra’y! 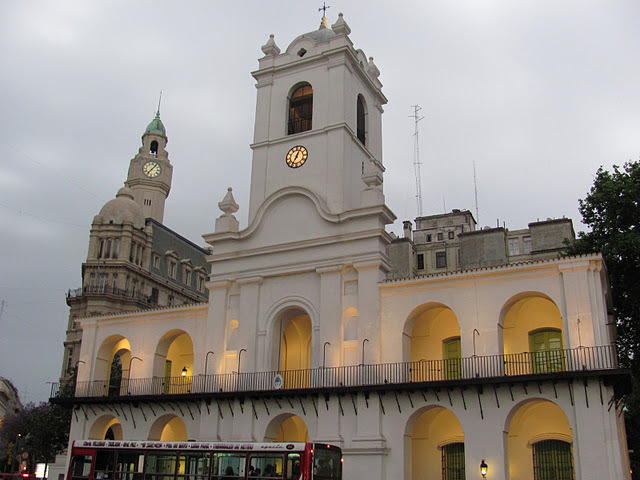 So as my mom reminds me often these days, the Buenos Aires trip could have been better in terms of the way some (not all) people treat black folk, but it DEFINITELY could have been worse. So that definitely didn’t overshadow the awesomes and greats. I feel like I’ve left out a lot about the trip, but I can’t quite come up with what else I have left to say. Maybe it’ll come to me in my dreams (I really do dream about what to write sometimes, lol). And in case you’re wondering, no, I still haven’t found my battery charger (and to be honest, I keep forgetting to look) so the pics are still forthcoming. I’ll get them out before the end of the year, LOL. I’ll be back later. I hope everyone is ready for the weekend, baby!! I’m back! So last time I talked about the awesome. Here’s some of the great. 1. Remember the adventures due to rain I told you about? Well… After a full day of exploration, the gang decided to take the route home that would take us through a historical celebration. 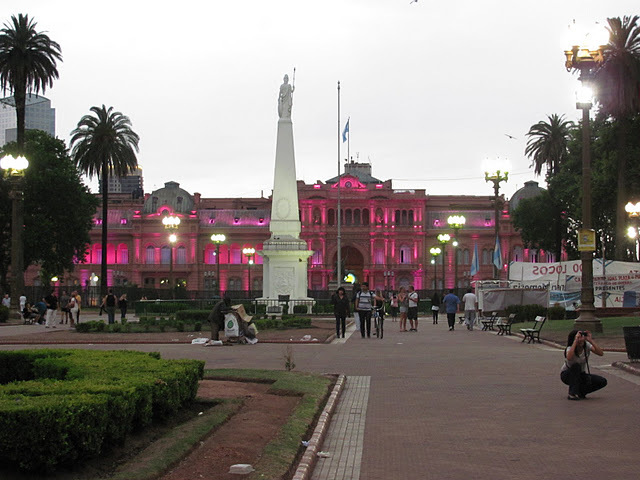 That’s actually when we took the best pics of the Pink Palace and the oldest church in Buenos Aires and the like. Almost as soon as we got off the subway, the music stopped and people started packing up their instruments and stage way early (according to a random, they had just started). Did we take that as a sign? No… LOL. We took more pics, we talked to a guy who was walking one of the sweetest dogs ever, we basically snubbed our noses at the sprinkles. Then the sprinkles turned into slightly larger than tiny drops, so we started walking to the condo. Halfway there, the drops turned into a full out rain storm. We had no umbrellas, no ponchos, or anything. It is funny now. It was slightly funny then, but we were cold and wet. And my feet weren’t covered so I felt icky icky. We took streets where we saw awnings so that we could dash from awning to awning, walking with our backs almost to the wall like we were spying, lol. We took a break in a bakery and got a couple treats. Then back to the mad dash. When we saw there wouldn’t be an awning for awhile, we would take a break under the last one, then ask each other were we ready to run. By the time we got to the condo, we were drenched. And of course, Nervous Nelly (me) got to the door and started shaking so it took me longer than usual to unlock it. We all immediately took showers. Then we watched a DVD. (Well, the DVD watched me and everyone else watched it.) It was a wet adventure that really made for a memory. 3. The outdoor markets are just great. I loved being outside and seeing people peddle their (very lovely) wares. 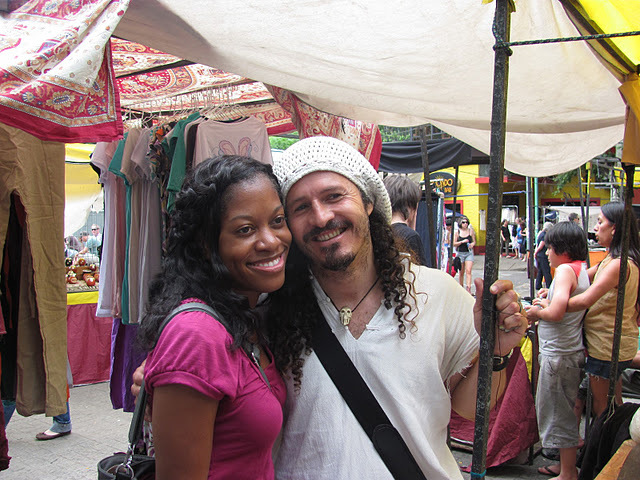 We got to go to two different markets on Sunday, both with their own personalities and both with plenty of characters. People like to bargain. And people like to pretend they’re bargaining, lol. Paula went back and forth with a guy flirting with Kendra about a pair of earrings and how much he’d take from her since she was out of pesos. I think she ended up getting her way with the rest of the pesos she had and like 5 American dollars. That scene could have been in a sitcom. 4. Leaving the markets, Paula spotted an ice cream stand. So we headed there, and I sat at a nearby table while everyone looked at the sign trying to figure out what the many flavors could be. Then I spied that this was not your average ice cream stand. There was also a restaurant inside and there was a couple eating at the next table, and I SPY chicken fingers!!!!!!!!!!!!! By Sunday, I was so tired of beef (gasp!) I didn’t know what to do. I am a beef eater, and I like an occasional steak. BUT GEEZ LOUISE. I had to have those chicken fingers. I don’t think anyone had even planned on eating for another couple of hours, but they were sports. Since we were there and since I was ordering anyway, we went ahead and ate. My ma and I ended up splitting a three course meal for 60 pesos (the chicken fingers by themselves would have been 30 so why not??). Sirobe got her normal cheese dish. Paula got that too. And Kendra got chicken fingers by themselves (hers looked different from mine–still not completely sure why). But they were a #win. I don’t really even remember the rest of the meal. I savored those chicken fingers. Ok, I have to run. I’ll be back to sprinkle in some pics. And I haven’t forgotten about the pics for the last post–I haven’t yet found my battery charger so I can’t upload my pics yet!! 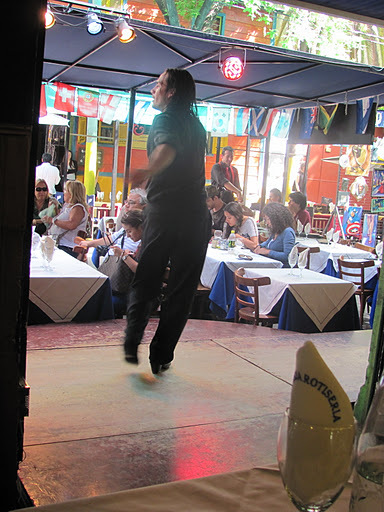 Last week, I traveled to Buenos Aires, Argentina for my 30th birthday vacation. It was great to leave rainy gloomy cool Atlanta to see sunshine (and a little bit of rain which led to two adventures…). And it was great to unleash the explorer in me for a week. And by explorer, I really mean explorer. I went to this Spanish-speaking country without knowing a lick of Spanish (I always studied French). Well, let’s not say a lick. I knew the numbers 1-5 because of Sesame Street and I knew gracias means thank you. Oh, and I knew how to say I don’t speak Spanish. Good start, right? By Thanksgiving, I had a few things under my belt, including numbers up to 12, please, and how to communicate with the taxi drivers. I actually kinda want to learn a lil Spanish now. So I think I’m going to do 2-3 posts since we did a lot in those 7 days. Let’s start with the absolutely awesome. 1. It was soooooooooooooooooooooo great to have my mom around for an extended period of time. Since we don’t live in the same place I don’t get to see her as much as I’d like to, and sometimes you just need your mom around, yanno? 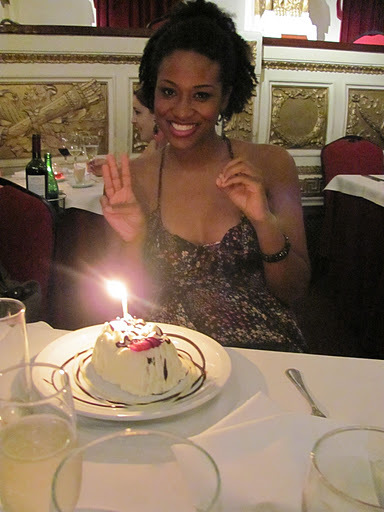 Plus, it was cool to have her with me on a non-Thanksgiving focused birthday (lol), so why not let it be the big 3-0.?? It was cool to be able to tell her thanks for doing all the work 30 years before since she usually is the one that reminds me of that fact. 2. I am super uber mucho grateful for friends that enjoy traveling to new places for celebrations! My birthday was so special with those gals in the mix. So many laughs and experiences to share. 3. Our condo was the bomb.com. 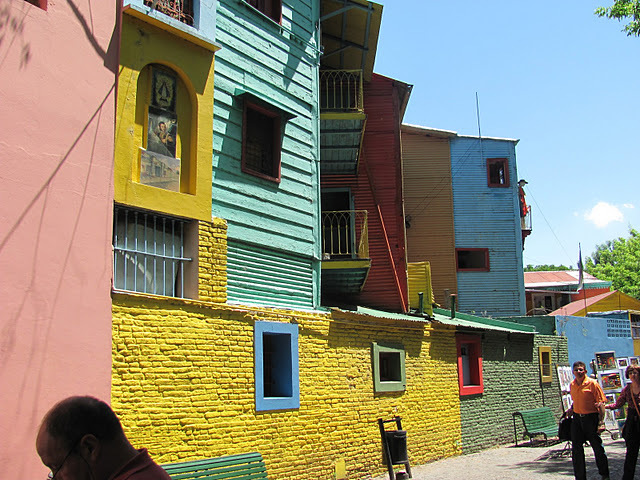 It was spacious, it was cozy, and it was in a pretty cool part of town (San Telmo). 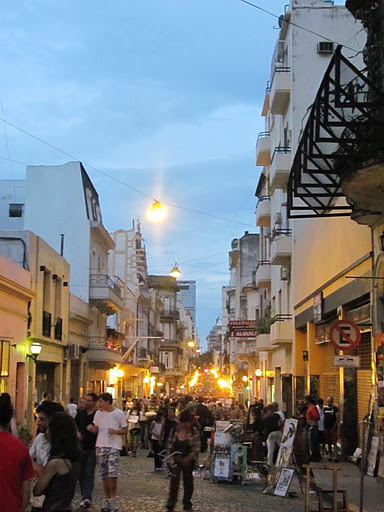 We had a rooftop patio, we had an ice cream shop right on the corner, and when we were coming back from a long, hard day of shopping in Palermo Soho’s weekend market, we walked right into a huge outdoor market right in our neighborhood! It was very cool. And one of the best things about the condo was the house manager Ruben. He has to be the best, most versatile, nicest “den mother” you can have, especially in a foreign country. Ruben took great care of us. He a cell phone waiting on us with his phone number in it that we could take with us in case we had issues while we were out (of course the week was half gone before we started remembering to take it). And I arranged almost all of our “official” activities through him, and they were all great and a couple even had surprises built in. 5. My birthday dinner was grand. We went to the Piazzola Tango for tango lessons and a dinner and show. The tango lessons were very fun to me. Our whole group participated during the teaching but I was the only one who participated during the practice, lol. Partially because if you didn’t have a partner already, you had to wait for the male instructor to come around and scoop you up. But I’m always ready for the challenge. And my little swingee dress was perfect for practicing! (More pictures coming soon–so please come back and check!) The dinner was cool. The wine was free flowing, and we actually had as much water as we wanted (first time the whole week we could get water and soda refills!! lol!)! More empanadas (my mom became an empanada aficionado during the week, but I don’t have to ever eat another one) for the appetizer–the other choices were ceasar salad which I wanted until I saw “fowl bits” in the description and pumpkin soup, which I just wasn’t willing to try on my bday (What?? I was being adventurous all week!). 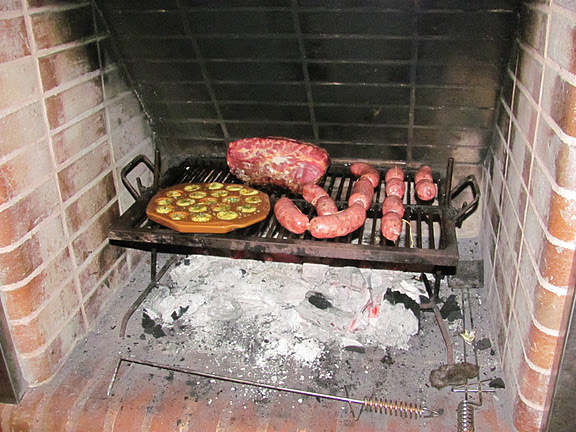 Then we had steak (what else????) and potatoes for the entree. Half of us got the flan for dessert (which was ok but kinda not great) and the other half got some dish that had a scoop of ice cream and some kind of hard cake (they ate the ice cream). But the tango show… the tango show was amazing. It was much longer and way more involved than what I expected, which was just a couple doing some moves for a few minutes. This was a full performance! The orchestra was wonderful (y’all know I love live music and string instruments and I finally got to see accordions in person!). The dancing was amazing and the singing was cool (the singers were very very dramatic–probably more dramatic than the dancers, lol). Then after the show, our waitress brought our table champagne and a REAL dessert. It was a chocolate cake with this really delicious creamy icing. We devoured that thing (and yes, I have before and after pics). Ruben was the bomb for that surprise because before I was a smidge disappointed with my dessert. But the finale was right on point. Ok, so I’ll be back with added pics and another post with more great moments of the trip! Hope everything had a wonderful Thanksgiving! I’m closing out my 30th year of living on this here earth, and I’ve learned a lot. Or maybe I should say relearned alot. I can’t control anyone or anything except my own actions. Perspective is the key to a sound mind. There’s a positive way to look at nearly anything. You have to allow yourself to see it from that vantage point. No matter what life brings, God sends the help you need. I will always be a busy body. It’s in my DNA. You have to listen to your body. Even if you have to pull an all-nighter, you need to cancel whatever you had planned the next day. If your body is tired, let it rest. The reason for the Sabbath is because God doesn’t want us running ourselves ragged. Productivity depends on balance. Sour patch kids are still some of the best candy ever put on the shelf. You can plan all that you wanna, but you have to be flexible because back to my first point, you can’t control anyone or anything but your own actions. But planning is still important. You need to dream then wake up and starting putting feet those ideas. Nothing is impossible unless you don’t believe you can do it. And once you believe, then you need to put one foot in front of the other. It’s a great thing to give to others, but you have to remember to refuel on a regular basis. Taking care of self is not selfish–you can’t give someone a ride if your car has no gas. I learned a lot more, but those are the ones that were on the tips of my fingers to share. Thanks for visiting my lil space on the net and always coming back for me. 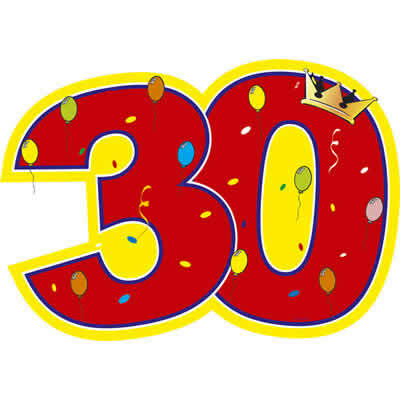 The road to 30 was bumpy yet exciting, and I’m so looking forward to forging my way through my 30s. Happy birthday to me! !